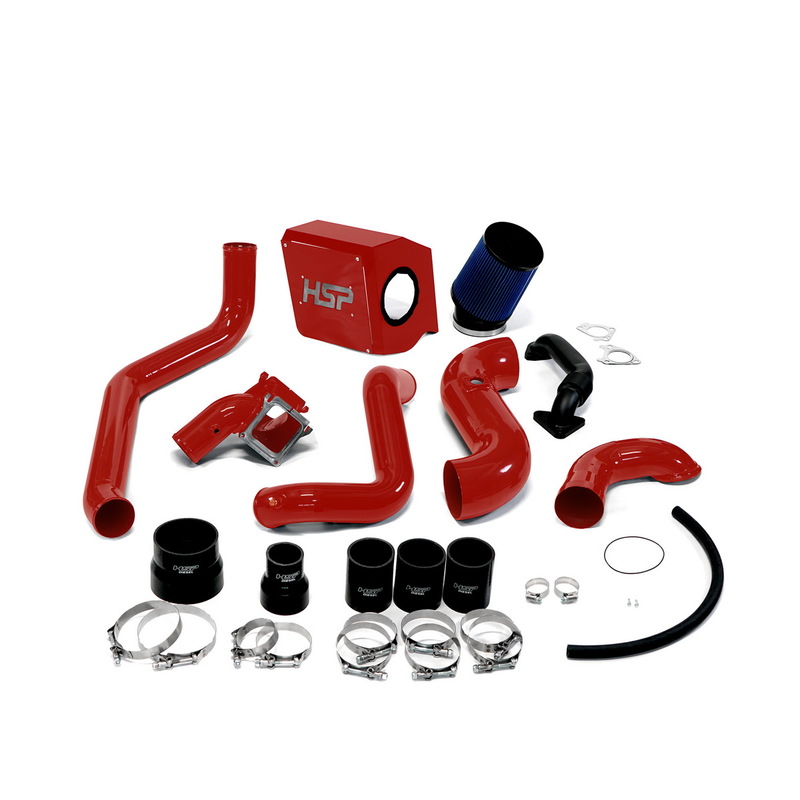 HSP's solution to this problem is to run the hot side tube directly into the intercooler resulting in lower temperatures, better air flow, and added clearance in tight places. Our bolted together two piece Y-bridge will make installation a breeze and ensure a leak free seal that won't leave you on the side of the road. We have also included one of our 2 inch passenger side up pipes featuring .120 inch tubing and the best bellow on the market. The factory up-pipe is prone to failure at the riser caused by excessive heat and pressure.